With two multiplatinum albums under their belts, you'd think that rockers Godsmack wouldn't be "Faceless" anymore, but the band members would disagree with you. In fact, they chose the name for their latest album for that very reason. Despite the success of their first two albums and last summer's smash "I Stand Alone" from the "Scorpion King" soundtrack, the band still felt they were flying under the public radar. Even the debut of their new record at No. 1 on the Billboard charts hasn't changed the mind of guitarist Tony Rombola. "It was awesome (to debut at No. 1), but I think we still are (faceless)," he said. "I don't feel any different." 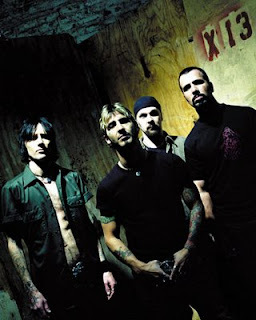 While the sound of "Faceless" obviously marks it as a Godsmack album, the band experimented with some subtle melodic elements and singer Sully Erna used songs like "Changes" and "Re-Align" to stretch his vocal skills a little. Rombola attributes the difference to producer David Bottrill of Tool and King Crimson fame. Rombola said he challenged the band to do some things they hadn't done before. "We did `I Stand Alone' with him, and we liked what he did with the band," Rombola said. "He worked with Sully on some vocal things, and he's a great engineer. We were really confident with using him again." A lineup change brought more new energy to the band during the recording of "Faceless." Drummer Shannon Larkin joined the fold and took over all drumming duties. In the past, Erna - who played drums for underground thrashers Meliah Rage before forming Godsmack - had laid down all the drum tracks. Rombola said Larkin fit seamlessly into the band's sound. "Sully's talked about Shannon for years," he said. 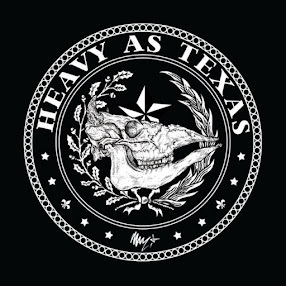 "This is actually the first record that Sully gave up the drumsticks for, but they have similar styles so it was a great fit. It's like we didn't miss a beat." While the members of Godsmack may think they haven't reached the pinnacle of the rock world, they're enjoying the fruits of their success on stage. Their last tour to promote their second album "Awake" gave them the opportunity to unveil the elaborate new stage show that they'd always wanted to do. Though he wouldn't give away any secrets, Rombola said this time out the production is going to be even bigger, and he's excited about playing the new tunes for an audience. With ever-increasing ticket prices, he said it's important to give fans their money's worth. "That's always been our philosophy, to go out there and just kill - do the biggest show that we can do," he said. "Every tour we've always added something and tried to make it different, new and exciting." That's part of the approach that's earned Godsmack one of the most dedicated fan bases of any new band in heavy rock - that and the fact that there are no gimmicks in their music, said Rombola. While trendy styles like rap metal and techno-metal disappear after a while, he said real, straight-ahead rock will never go away. "I hope people take (our music) for what it is and dig it," he said. "When we write a song, we all get off on the groove, the guitar riff, the beat, everything. It's pretty exciting to know that other peole are feeling the same thing from our music." Rombola said the band has a lot of music left in them, and he thinks Godsmack is close to a worldwide breakthrough. In any case, they've set lofty goals for themselves. "We want to be the biggest rock band in the world," Rombola said with a laugh. "We're setting our sights high. Maybe we won't be disappointed if we're the second biggest rock band in the world." Review: M.O.D., "The Rebel You Love to Hate"
Review: Anthrax, "We've Come For You All"